New Kinpo Group is an odd company. Its CEO popped into our New York City offices the other week ostensibly to speak about its XYZ brand, whose budget 3D printers have shot to the top of the top spot in global market share. Then it busted out the HiMirror. It’s a smart bathroom mirror. It examines your skin, gives you metrics, tells you what you can do to improve. I will happily acknowledge that this device probably isn’t for me. Frankly, I’m too self-conscious to step on one of those smart bathroom scales that calculates your body fat (which the company also makes), so the idea of starting into a mirror that will examine every flaw with robot precision doesn’t sound like my idea of a fun way to spend a Monday morning – or $189 of my hard-earned cash. For those who are looking to smartify their beautify regimen, the product is designed to be a companion piece to a larger over all electronic ecosystem, syncing up with the aforementioned Smart Body Scale ($79) to give users an overall picture of their health/beauty. 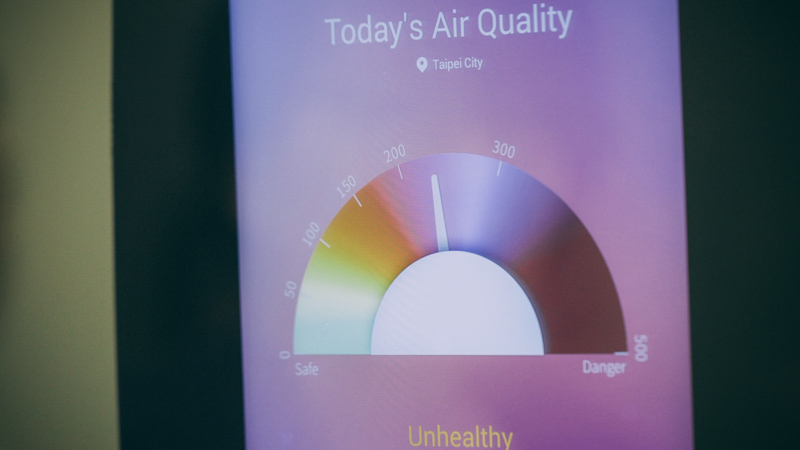 The smart mirror measures 11 x 16.4 inches. At first glance, it looks a bit like an electronic terminal – or maybe one of those teleconferencing robots you see zooming up and down the halls of convention centers for people who can’t be bothered to leave the office. That image was, no doubt, helped along by the fact that the company brought the mirror in on a pole. You can also hang it on a wall or prop it up on a table if you have the space. 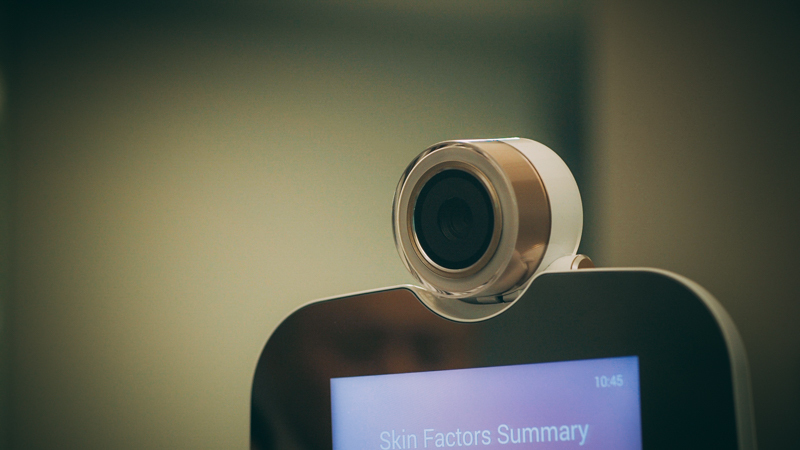 The system uses facial recognition and underlying technology to track and log skin firmness, texture, clarity, brightness and health over the course of hours and days. 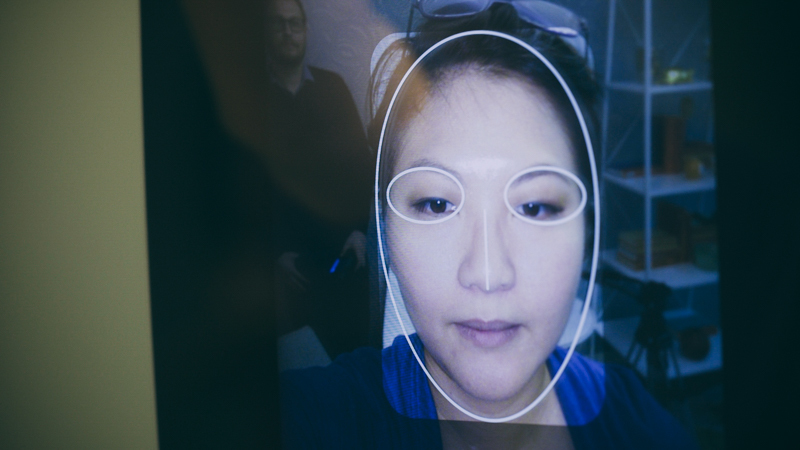 There are a lot of lingering question about how well it does its job, and the demo was fairly brief, though the company assured me that it can take into account things like complexion and ethnic background when assessing a face. There’s also a barcode scanner to input different skin care products into the system. Honestly, the most compelling bit from where I stand (directly in front of the mirror, wondering where I’ve gone wrong) is the incorporation of notifications, serving up weather, calendar alerts, notifications and Spotify playback on the mirror. Necessary? No. Cool. Sure. There are some privacy concerns here as well. After all, you’re essentially bringing an internet connected camera into your home. The company’s added a lens cap feature you can twist to close, but the mere notion its presence on a bathroom wall may be enough to deter a lot of users. The HiMirror is the first offering from the NKG brand of the same name, arriving alongside the company’s new scale. Perhaps most surprising of all, the product actually has a definite ship date here in the States. It’s arriving on October 17, which gives you a few days to weigh the pluses and minuses – before you go weighing yourself.